Plaza de la Constitutión, San Sebastián (Donostia), Spain. We never travel with a detailed plan in mind. For instance, we do have a big goal like “Visit South of France” or “Go over Tuscany” but nothing else. Obviously, we need a fixed starting and ending point as air companies require you to select a specific airport to minimize the costs of the ticket. In the above cases, we chose Bordeaux in France and Florence in Italy. Since we never travel at the peak of the season, the likelihood of finding a hotel in the last minute would be very high which means that we almost never make a reservation in advance. Renting a car makes our life easier and we tend to pick a hotel while we are driving from here to there, not rarely, minutes before arriving to them. By not planning the whole trip in advance it means that we have to cope with the alternatives that present themselves as we talk to people, as we learn what to see, as the usually very informative hotel people are proud to inform. At restaurants, we choose plates and beverage based on the suggestions given by the people that work there. Not only we have rich local experiences but also it is an excellent conversation start as to ask for suggestions where to go and what to visit. 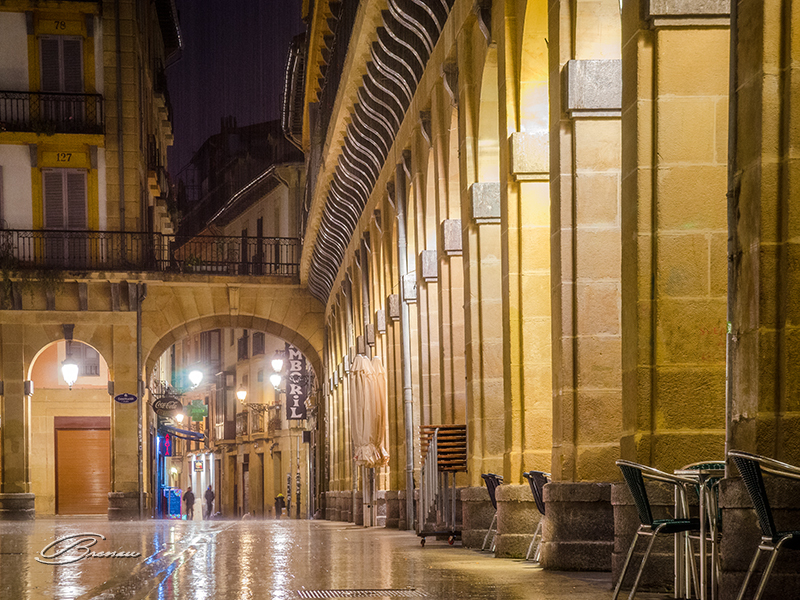 This is why we ended up briefly visiting Hondarribia and San Sebastian in North Spain before ending our visit to South of France. Enjoy a bit of these places! 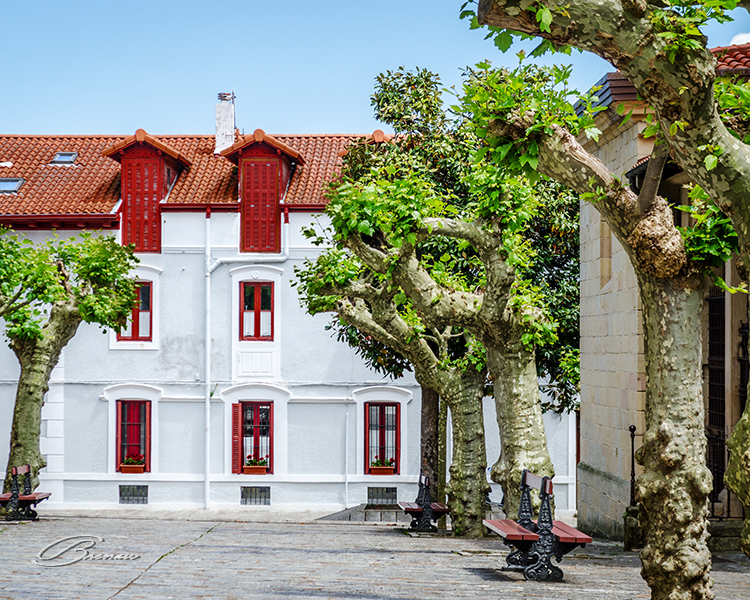 The unique architecture of Hondarribia. At some moments we thought we were some doll cities where the houses were so idealized. If you understand what I am saying, Hondarribia is just a dream! 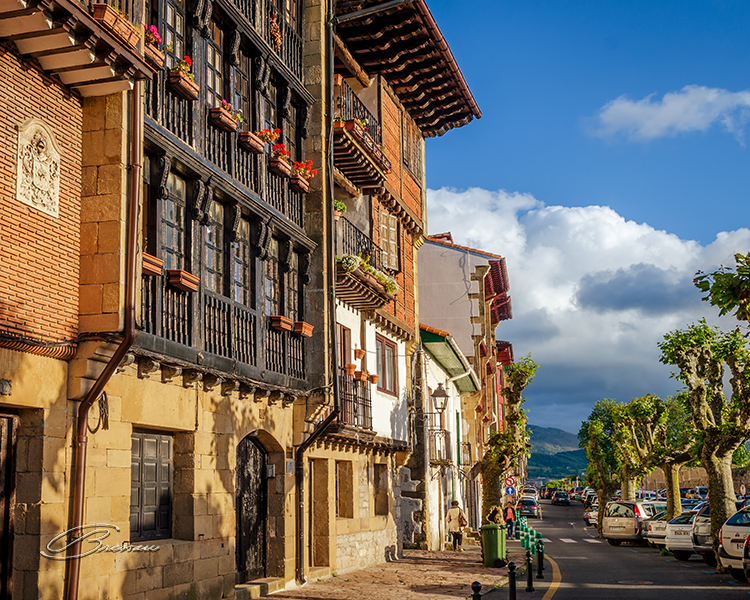 Hondarribia started as small village in the Roman times and part of its old town is still preserved dated from medieval times. 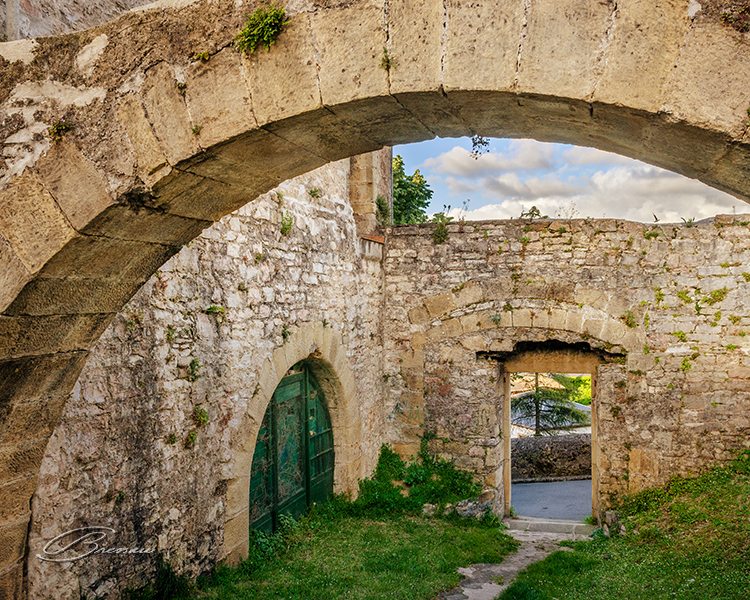 Hondarribia is a Basque name just like everything that permeates its culture in North Spain. You can speak there the Basque, the Spanish and the French languages (the latter because Hondarribia lies at the border of France). 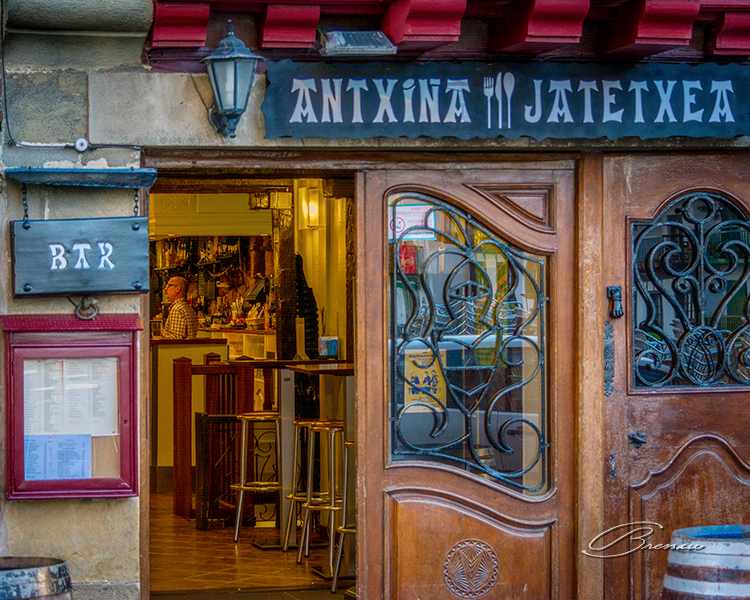 This charming Antxena Bar and Restaurant (jetatxea in Basque) displays its pride of being part a Basque country. 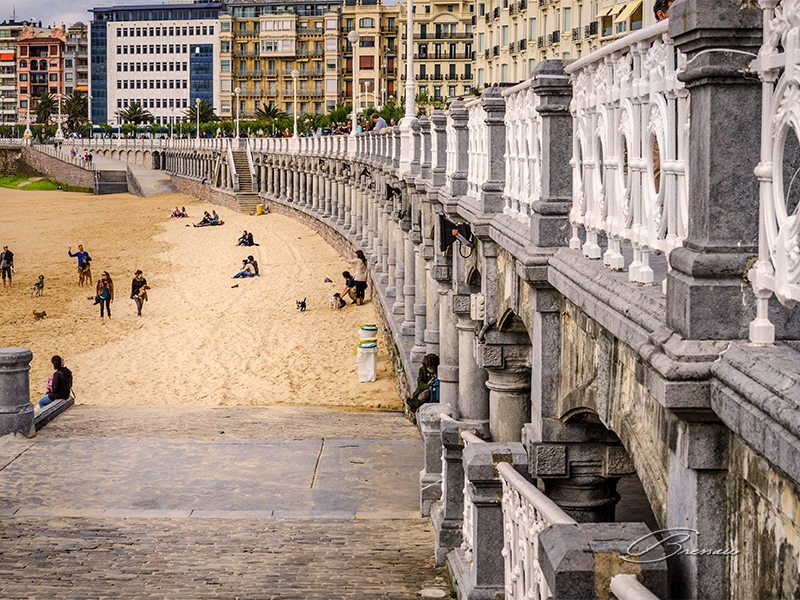 On the other hand, San Sebastián (Donostia in Basque) is a much larger city with a very heavy architecture. Here, La Plaza de la Constituitión. 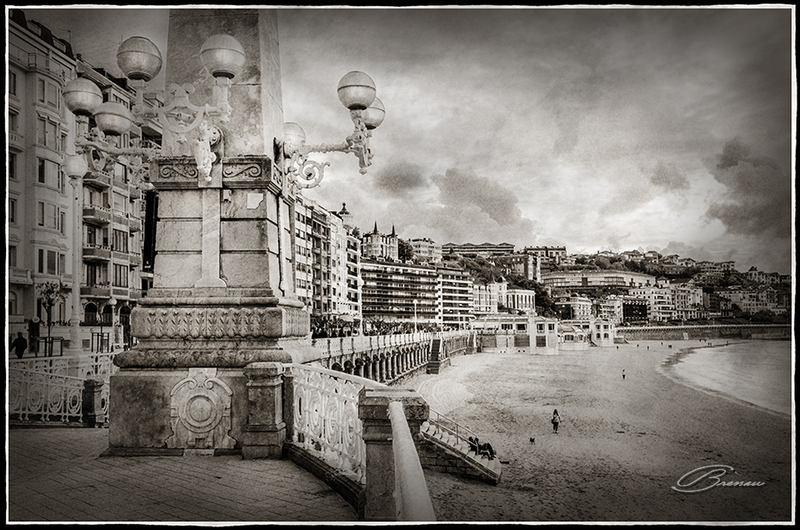 This is the way I saw the wall facing La Bahia de La Concha (Kontakxo Badia) in San Sebastián. Another view of the wall facing La Bahia de La Concha (Kontakxo Badia) in San Sebastián.